When I got into running years ago in Seattle (and this was a couple years before I got more serious about it), I did some research on training since I wanted to do more than just go out, run and see what happened. At the time, all of my running was either of the “chase after that bus that’s about to take off” variety, of playing pickup sports with friends. I had (what I didn’t yet know was called) anaerobic speed, but I had little aerobic endurance. Growing up presumably with asthma, I grew up thinking I just didn’t have the lung capacity of others and thus I probably just wasn’t built to run too far (attempt to run track be damned). However, having not had anything resembling an asthma attack in decades, and having proven since then that I could run a few city blocks without stopping, I had an intuitive suspicion that I could run a couple miles without stopping. And though I couldn’t really run more than a few blocks without doing so at the time, I felt I could find a way to bridge the gap. 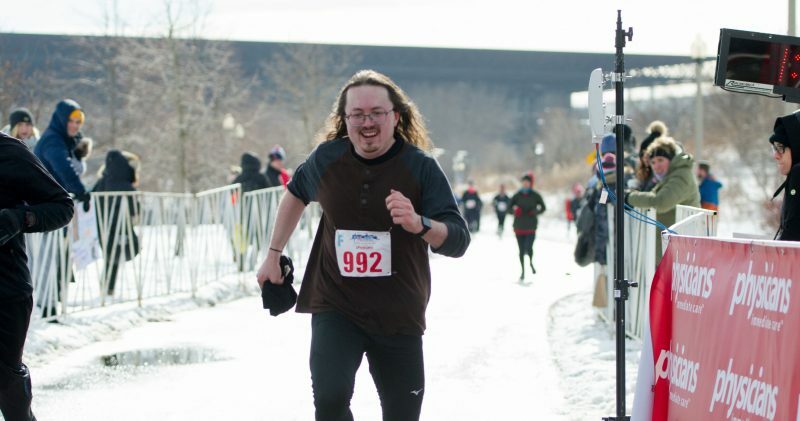 I had previously dabbled with the classic Couch to 5K program, and could see the logic in the stop and go approach. But I wasn’t too fond of it, I still had a hard time running more than a few blocks without stopping, and so I went looking for perhaps something a little more directly applicable. Run: Put one foot in front of the other and run. It sounds pretty simple, and it is. Don’t worry about how fast you run; just cover the distance–or approximately the distance suggested. Ideally, you should be able to run at a pace that allows you to converse comfortably while you do so. This isn’t always easy for beginners, so don’t push too hard or too fast. I had a revelation. In race walking there are very specific rules for what constitutes a walk versus a run, how your feet must leave and strike the ground and so on. I realized I could follow those rules in reverse. It didn’t matter how slow I was going. As long as the way my feet moved technically constituted a run, I was technically running. Most people intuitively believe that to run your legs must extend a certain length, you must expend a certain amount of effort, to be a true run. I felt the same way, and like most I ran with more of a bounding, lunging cadence as my regular motion. But what if I stepped as lightly, as quickly and as easily as possible in what could be defined as a run? I gave it a shot. One evening in Seattle’s hilly Queen Anne I stepped to the end of the block, having mapped out a 1.5 mile route that matched the distance Higdon recommended in the Novice 5K plan’s first workout, and like the instructions said put one foot in front of the other. My plan was to go as far as I could before I needed to stop. I was to go no faster than I comfortably could, to step forward no farther than I comfortably could. I didn’t stop at all until I reached the end of my 1.5 mile loop. I was thrilled. I, having never been able to comfortably run a mile in my life, just ran 1.5 miles without needing to stop for the first time ever. I never even felt all that distressed. I didn’t have a stop watch at the time, and I’m sure the time was very slow. But that didn’t matter at all. Part 2 is a long story short: From there I just went out every other evening and ran the prescribed workouts the exact same way. I never had to stop before the end of the workout in any of them, and by the last week I was finishing 2.5-3.0 milers in as much time as it originally took me to finish that first 1.5 mile run. I had no goal race in mind or anything. The only final goal I had was to run 3 miles without stopping. And at the end I did. And then… I just stopped. Thing is, I was practicing theatre at the time, and around that time (welcome) projects and classes (which involved clown and theatre movement, both very physically demanding practices) began competing more heavily for my time and energy. So running took a back seat. It wasn’t until years later, as I began detaching from the arts scene in Seattle, that I began running more. And once I got to Chicago my running practice really… uh… picked up the pace. All this is to say that the magic key that allowed me to break through from “fast guy who can’t run far at all” to “experienced runner who can go and go and go” was to shorten up my stride to something easier and consistently attainable. In fact, I’d say the crux of most developing runners’ struggles can be tied to the continued belief that a regular run must utilize this aggressive, lunging stride people consider a running step, in order to count as a run. I see most runners out on their “easy” runs pushing hard, still struggling to carry on conversations and breathe at the same time, even though they should be running easy enough to converse normally. Ironically might in the long run be able to run faster. Despite my current typically plodding 11ish minute mile pace on easy runs, and despite approaching age 40, I’m still breaking PRs and it’s become more and more comfortable to run interval paces that even a year ago I struggled to hit. While I certainly could run a few miles in a 9-10 minute per mile pace instead, I’d also get a lot more tired a lot more quickly, and it’d limit my ability to run on subsequent days. Why do that if it’s not necessary? If I could provide a physical example of what this easy running style should feel or look like, the one example I come back to is a baseball player trotting around the bases after a home run. That’s what it feels like, and I wouldn’t be surprised if that’s what it looks like when I do it. So, if you find yourself struggling to run too far, if you keep getting hurt or always feel too burned out to run more than 2-3 times a week, or anything similar… shortening up your stride and doing your run as this sort of “home run trot” might be worth a shot. It certainly worked for me, to say the least. It’s probably the biggest contributing factor to my growth and development into what I can do today.